CaringBridge is a simple community site designed to give people experiencing a health crisis a central place to inform family and friends about what is going on and coordinate community care (think dropping off casseroles and giving rides to the doctor). Importantly, the site also serves the needs of caregivers, especially primary caregivers like spouses or a child’s parents, as they try to coordinate charitable offers of help with the complex realities of serious healthcare. The site was started when the founder, Sona Mehring, used her background in software to help friends share information about their premature baby. CaringBridge focuses primarily on basic community functions and some simple onboarding. But it perhaps has struggled to raise its profile because its business model is not clear and it is not sufficiently distinct from the existing hodgepodge of social media sites, direct messaging and calendaring apps, apart from being ad-free. 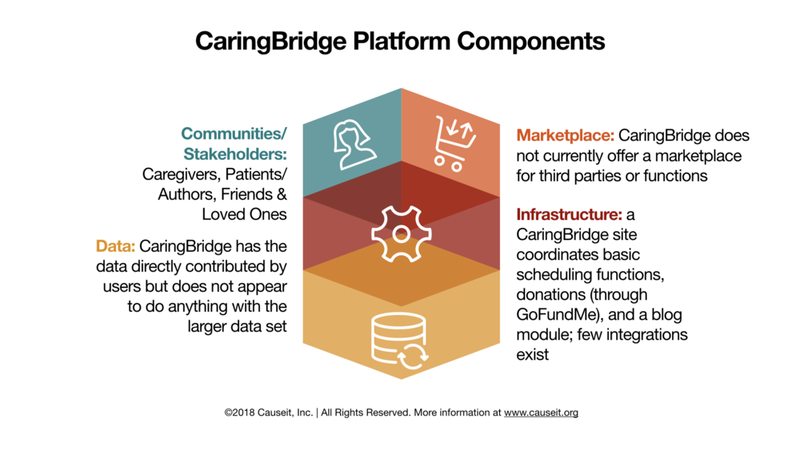 A huge opportunity exists to connect CaringBridge or functions like it with larger patient bases so that doctors become more familiar with it and integrate it with professional caregiving efforts. Right now, the use case remains focused on a specific portion of a larger care plan—the lay caregiver. While important, it may not be as powerful as it could be with deeper integrations. 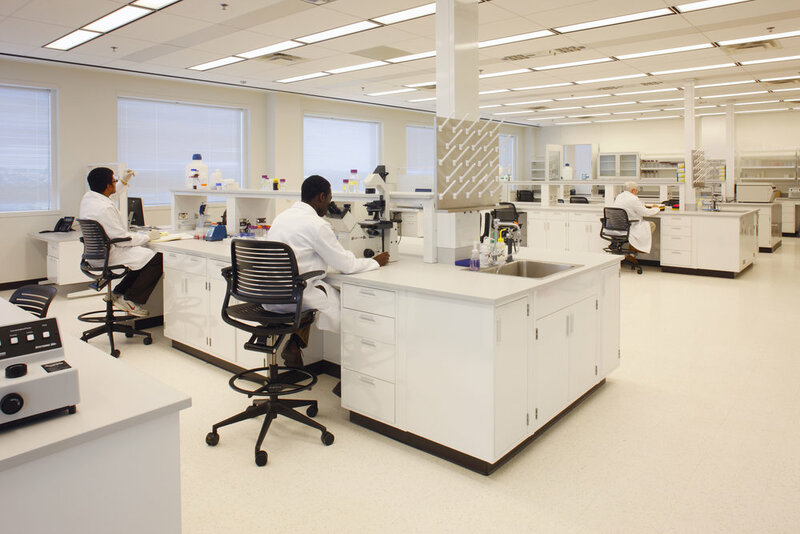 HudsonAlpha Institute for Biotechnology has made significant progress in the realm of genomic sequencing and analysis. While the cost of whole-genome sequencing is about $5,000, a prohibitive cost for most individuals, sequencing just parts of the genome can provide substantial (and far more financially accessible) results. Though genomic testing is generally thought of as useful for screening (eg, cancer risk) or ancestry discovery, there are other uses. When considered from the point of view of the payer, genomic sequencing to determine receptivity to particular medications can be incredibly helpful. Howard Jacob, HudsonAlpha’s Chief Genomic Medicine Officer, related a story of a young patient who had been diagnosed with a difficult hereditary condition which caused seizures and other problems. An expensive medication was prescribed, at a cost of our $10,000 per month, but symptoms continued to worsen. Finally, after over a million dollars in medical costs, the patient’s genome was sequenced—and it was determined that the young man’s worsening symptoms were being exacerbated by the medication, rather than helped by it. Jacob illustrated how carefully-timed genomic tests can provide great value to both patients and payers. It would have been emotionally jarring to prescribe the medication and then offer a genomic test after symptoms worsened—no one wants to be told that they were just given a medication toxic to their symptoms. However, at a critical juncture in care where a new medication or other treatment is being considered, offering the test in advance of the medication (‘there may be a medication which works well for you, but to avoid contraindications and extra expense for you, we can take a test to make sure it’s the right one’) can be better received and avoid the situation of the young man described. By working with insurers and group health payers to identify opportunities for opt-in genomic testing with patients, starting with the most obvious examples of patients who are seeing their care providers more regularly and/or using a complex treatment regiment, genomic tests could potentially improve health outcomes and lower costs for everyone involved—without requiring blanket testing of the entire insured population (which has both privacy/ethical and cost implications). It is incredibly important to attend to the ethical issues at play. For one, individuals are understandably concerned about being classified as uninsurable if pre-existing conditions are being considered (as they were in the United States before the Affordable Care Act, and in qualification for coverages like life insurance, which still assesses current and future risks on an individual-by-individual basis). Security of individual genomic data is incredibly important, as are ways to provide selective access to such datasets without exposing raw data unnecessarily. For genomic testing to be viable in the mainstream, individuals will need to know enough about the security implications to make informed choices. (For more information on Informed Consent and Doing no Harm, please take a look at our piece at www.causeit.org/data-ethics, which was constructed as part of a larger joint research effort with Accenture and a number of leading data ethics experts). It is also important to help individuals understand the emotional implications for themselves and their loved ones if they review their ‘risk profile’ via a genomic profile. Not everyone wants to know—or can handle knowing—about a predisposition to cancer or other serious health conditions. And even learning about existing genetic conditions (like sickle cell anemia) has serious mental health and social implications. As Jacob shared, “the worst are the ‘alpha male’ types—they say ‘just show me everything!’ But the people who have to deal with the emotional fallout of someone learning about a genetic condition or predisposition aren’t just the people who are tested—it’s their families and loved ones, too.” For that reason, counseling prior to testing is required by many standards of care and organizations. Additionally, a sequenced genome is only as useful and accurate, from the individual’s perspective, as the research findings used to interpret that genome. HudsonAlpha and other organizations are considering a subscription model for genomic research and review—wherein an annual compilation of research relevant to one’s own genome are compiled, so that if new research comes out about ‘we found the gene for X condition!’ such findings are reviewed on a periodic basis with a qualified professional. At this point, genomic sequencing is still in its early days. Significant education and outreach work remains to be done (though HudsonAlpha is working on that too), and the ethical frameworks, standards of care, regulations and business models around the highly-personalized realm of genomic medicine are still evolving rapidly. But some of its lessons about targeted diagnostic uses are applicable now.